Tonight sees the Launch of Spike – a new addition to the Channel 5 family. Spike will be the first UK terrestrial channel to screen the entire run of Breaking Bad. I’ve been working with MTV Networks to provide graphics for various promos in the run up to the launch. This involved close collaboration with promo producers to integrate graphic content and exert the brand guidelines for the channel. 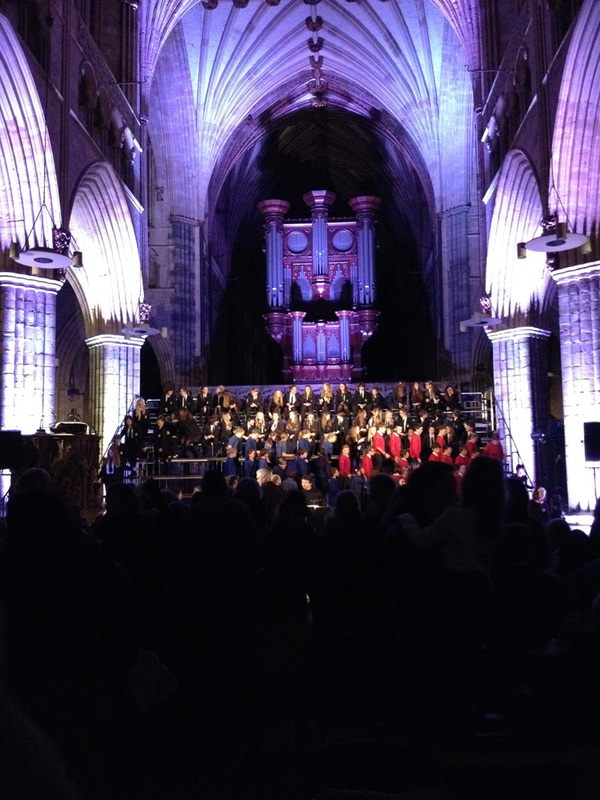 Someone should warn Exeter Cathedral that their organ is actually a huge scary steampunk transformer robot. I’ve been working with creative media agency Fin, on their debut project for the Imperial War Museum: A series of short films focusing on some of the more intriguing and surprising stories surrounding the Great War. The content spots come in 12 x 25 second episodes, being broadcast on Exterion Media’s Cross-Track Projection (XTP) screens at London Underground stations. They contain rare photos and remarkable facts about the First World War, many of which are related to the modern day life of a typical Tube commuter. Jane Richardson, Marketing Manager at Imperial War Museums said: “The First World War was a landmark event, which changed the world for ever. A hundred years on, it is through the stories, moments and photos from that time that we can get a glimpse into what life was like for the generation who lived, fought, died and survived the war. Everyone is connected to the war, whether through their own family history, the way in which it shaped life today, or through their local communities and how they were affected. To mark the opening of the IWM’s new First World War Galleries and the wider centenary commemorations, Aardman has created a special short film, Flight of the Stories. A friend of mine was asking about a good paper to use for pen and ink work. I started rambling on at him and he suggested that I blog it. So I have. If you want crisp smooth lines where the ink sits on the paper, Bristol board is good (It’s not really board, you can buy it in pads.) I like the Goldline brand. I find Daler and Rowney can bleed a bit. For more absorbancy and a bit of ‘tooth’ then I go for a Hot Pressed (smooth) watercolour paper. 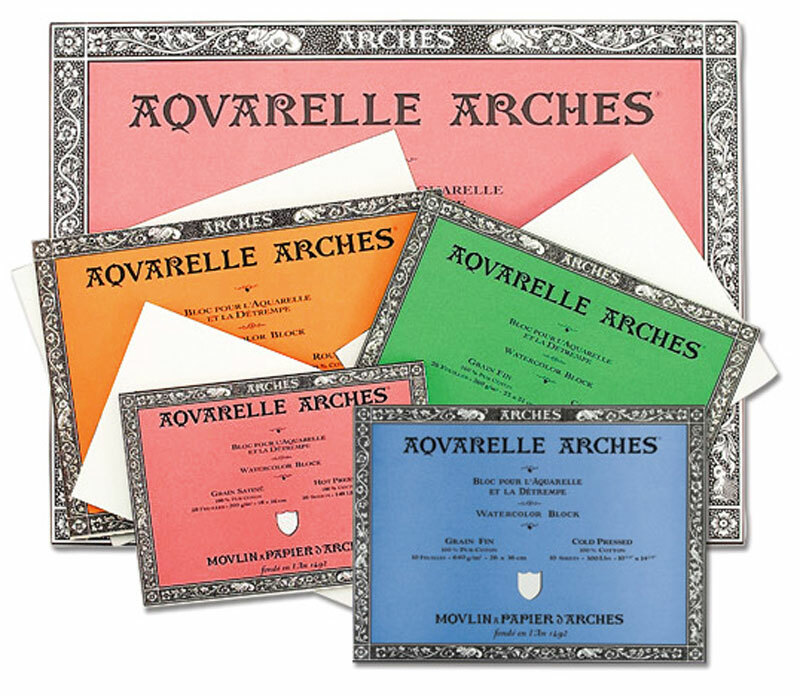 My favourite paper is Arches Aquarelle – though it’s pricey for mucking around on. Saunders Waterford is OK. Or just good cartridge paper for playing. My all-round paper of choice is Arches Aquarelle NOT. It’s halfway between smooth hot pressed and rough watercolour, so it takes washes really well but also holds a line. And it just feels bloody gorgeous when you get it out of the pack. I buy packs of half imperial size (a bit bigger than A3) from Ken Bromley. 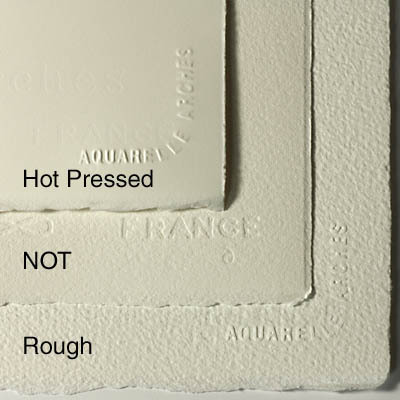 You can also buy it in blocks, which have taped edges to prevent the paper from buckling when washes are applied. They also have cool art nouveau covers so that you can pretend you’re living in belle epoch France and drinking absinth with Toulouse-Lautrec in the evenings. 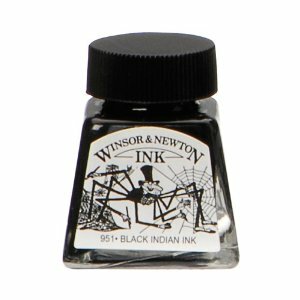 Ink-wise, for use with a dip-pen, good old windsor and newton is fine but it’s a bit cloggy. 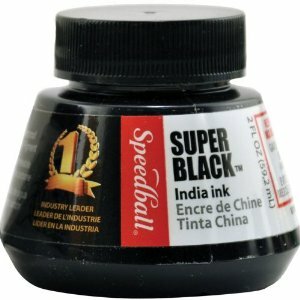 I like Dr Martin’s Bombay Black, and I’ve just discovered Speedball Super Black which is lush. I get it from Scribblers. Ooh, one last tip – I really like those Rotring Artpens (with the ‘sketch’ nib rather than the calligraphy type), but you can’t put waterproof ink through them as it clogs the barrel. Which is annoying if you want to paint over your black line. So I’ve got an old one, (which I previously ruined… by putting waterproof ink through it.) 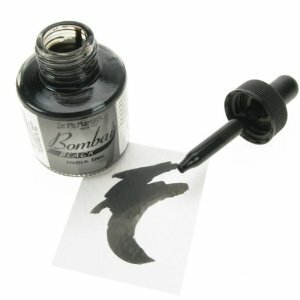 and I use it as a dip pen. Bingo! It’s all personal preference and experimenting really. And spending lots of time and money you haven’t got, sourcing arcane art supplies – which is of course, a lot easier than actually getting down to drawing. I love the idea of a sketch based interface, whereby you can control motion paths and other properties by drawing directly into the work area. This feels very intuitive, especially if you’re using a tablet or an interactive pen display such as a Wacom Cintiq. I’d like to see a hybrid interface for something like After Effects, where sketch based controls can be fine tuned with more traditional methods like keyframes and the graph editor. I worry about all this though. I worry about the idea of bringing illustrations to life. Why would you do that? Is the predominance of screen-based media making us all so distracted that we can’t sit and look at a static image anymore? And in any case, part of an illustrator’s mastery is creating life and movement through draughtsmanship. 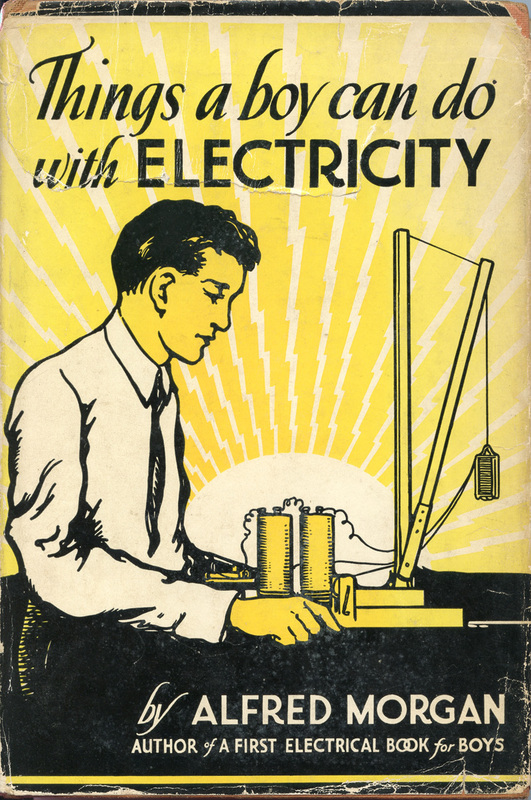 One of my favourite illustrators is Ernest Shepard. 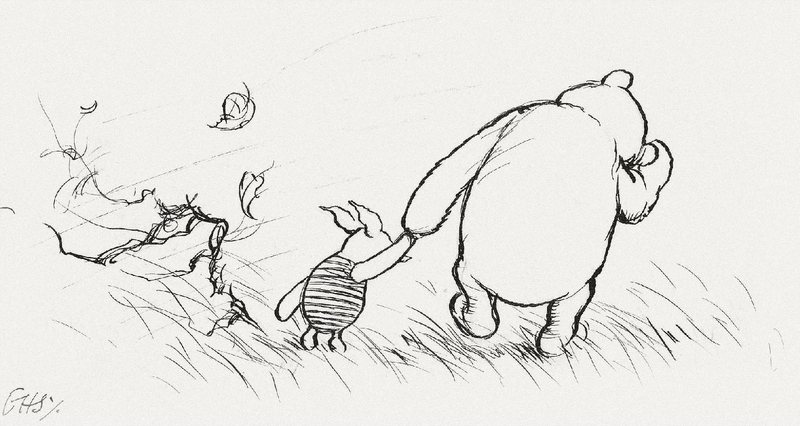 This lovely picture of Winnie the Pooh and Piglet tells you everything you need to know about a windy day. It certainly wouldn’t be improved by a bunch of animating leaves whirling around. Quite the opposite in fact. I also worry about animation being automated and controlled by algorithms. It’s great that you can make things bounce and ease and wobble at the click of a button. There are some great tools around for this, like the brilliantly named Ease and Wizz for After Effects. But it does feel like animation – and motion graphics in particular – is becoming rather homogeneous. You see the same kind of movement everywhere and design often seems driven by whichever plug-in effect happens to be in fashion. Animation is about feeling. You can really see this in a traditional animator’s pencil tests. (This is Shere Khan from The Jungle Book, animated by the great Milt Kahl.) Pencil tests have such a lovely quality. They’re so direct – from brain to hand to page. And created with nothing more than acute observation, great draughtsmanship and a pencil. The feeling of an animation comes from the personality of the animator. You can’t automate that.